No more film, no more glue! 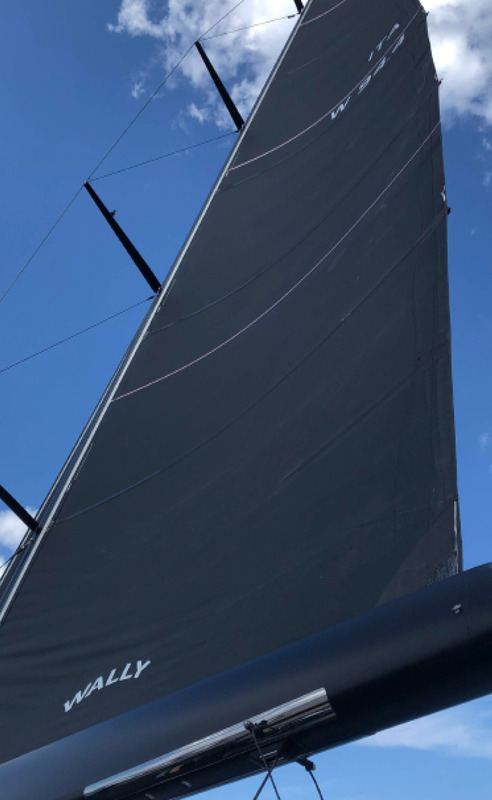 In 2007, OneSails introduced the first continuous fibre sails built without the use of resin or glue, eliminating delamination issues at a stroke. Now OneSails goes a step further, by introducing 4T FORTE™ membranes made from exclusive Multi Micro Structure (MMS™) technology (patent pending). 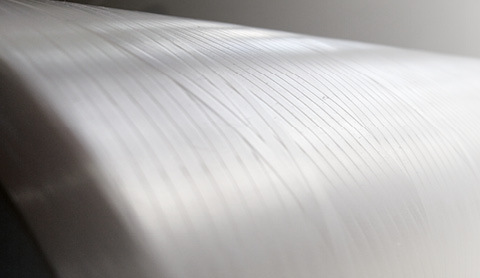 The 4T FORTE™ composite structure incorporates high modulus fibres such as STR™ Solid Stripes, a new low stretch component of MMS™ technology which eliminates both glue and the mylar film, so often the weak element of a laminate sail. Using a multi micro layered structure, elements of the membrane are fused together in a cross linked, polymerised matrix resulting in a stable, stretch resistant, and durable sail. By doing away with both glue and mylar film these sails are significantly lighter than conventional laminate sails. Not only is 4T FORTE™ intrinsically lighter than alternatives, but weight saving is enhanced by the fact that a 4T FORTE™ membrane does not need to be covered with extra woven taffeta fabric to protect it from UV or improve durability. 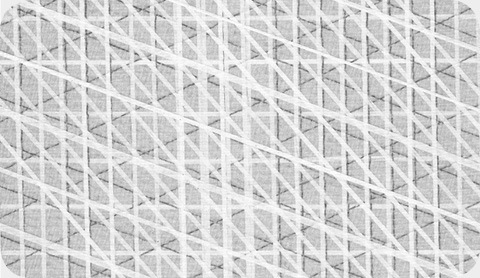 A core structural grid, constructed from high modulus fibre takes care of the principal loads, whilst oriented micro layers provide strength in other secondary directions. The entire skin is encapsulated between ripstop “shields”, which are UV, moisture, and mildew resistant. The whole skin, with its continuous fibres, is vacuum cured in a heat activated cross polymerisation process. which fuses the components together so that every single element in the structure contributes to shape holding. 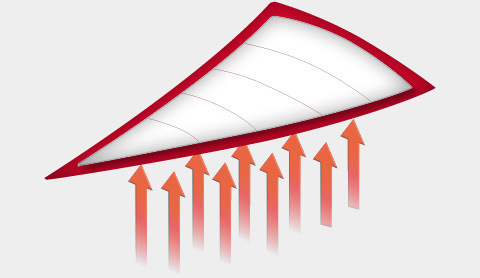 As a result, a 4T FORTE™ sail membrane not only exhibits superior structural integrity, but the use of more efficient components creates a sail up to 25% lighter than film based alternatives. Composite warp-oriented intermediate layers are able to hold the loads of the core solid stripes’s frame and keep them in their original position resulting in perfect shape retention of the sail. The exclusive squared shape of STR Solid Stripes™ in MMS laminates increase the stability of the structure and results in a sail with a very smooth surface. 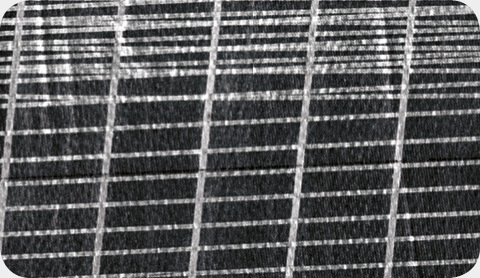 The structural inconsistencies in a Mylar based sail result in distortions under load leading to reduced shape stability as the components bend and stretch. The sail is shaped using a cross-cut base layer as a mould over which the composite layers are assembled. 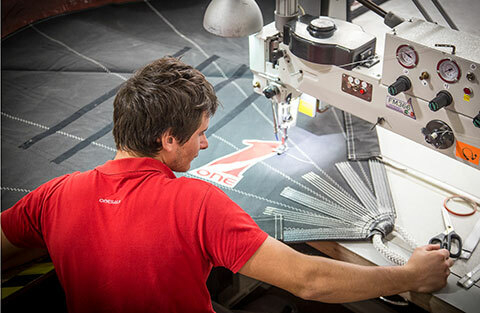 This process means that any designed sail shape can be accurately produced. Unlike most of the membranes in the market that are built with the use of resins or glue, 4T FORTE™ membranes are made by a vacuum cured heat-activated cross polymerisation process. This ensures superior structural integrity with no extra weight added to the sail. Furthermore the lighter specific weight of the micro layers compared to mylar film significantly decreases the overall weight by up to 25%. 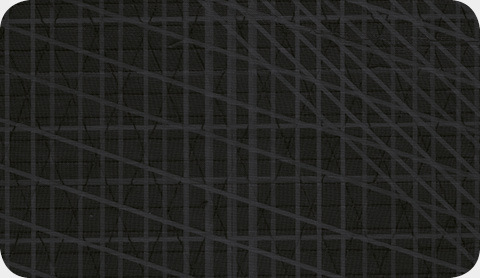 After many years of carbon being the ultimate fibre in sailmaking, OneSails has introduced STR Solid Stripes™ with a better strength/weight ratio than carbon and a huge number of other advantages including being more robust, having higher tenacity and a full resistance to the harsh factors of the marine environment such as UV, temperature and moisture. Alongside the introduction of 4T FORTE™ sails, OneSails are the first sailmaker in the world to deliver sails with an electronic chip encapsulated in the membrane as standard. The OneSD™ microchip will carry data which will help the end user and the OneSails network identify and monitor the sail over the course of its life. Simply place a suitable smartphone next to the chip and read the recorded identifier and design data. A PRO version of the OneSD™ chip will shortly be introduced which will allow real-time recording of the sail’s activity when linked to onboard systems. There are many possibilities, from hours exposed to UV, to the number of tacks and gybes experienced - all recorded with the aim of improving sail performance and the ownership experience. “Green Sails” - certified ISO 14040 Life Cycle Assessment. 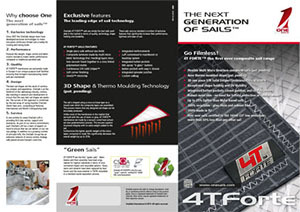 4T FORTE™ are the first “green sails”. Membranes and their assembly have been engineered for highest standards in terms of environmental impact and recyclable options. Glues, resins and solvents have been replaced by heat fusion and the base polymer is 100% recyclable in a standard waste separation process.